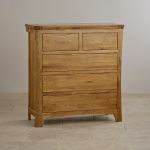 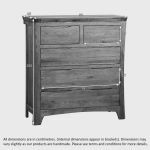 The Orrick Rustic Solid Oak 2+3 Chest of Drawers is a beautifully proportioned unit with a rustic, artisanal design. 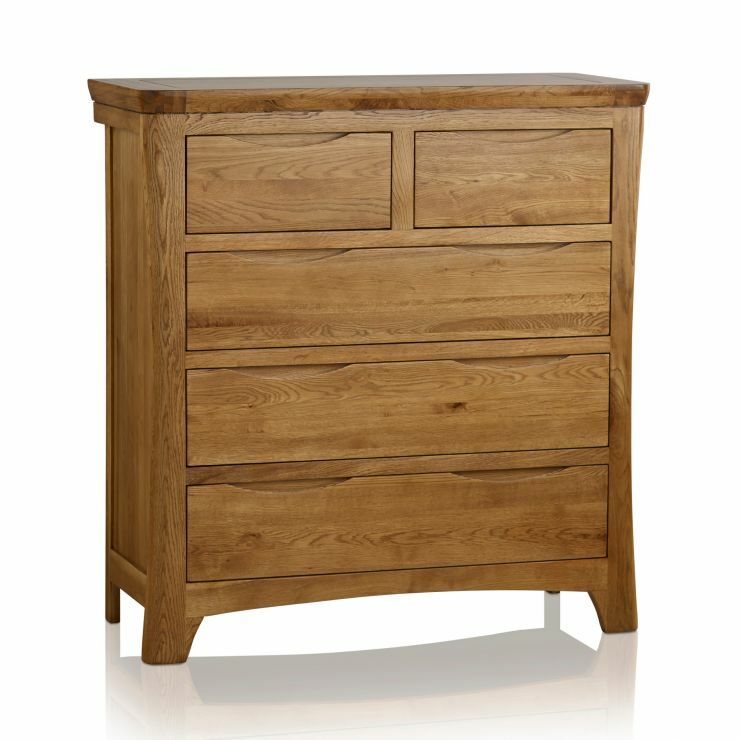 Expertly crafted from A-grade solid oak using traditional carpentry techniques, it offers three full-width drawers with two smaller drawers nestled above. 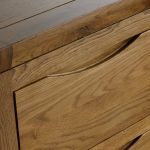 As is standard at Oak Furniture Land, these are crafted using resilient dovetail joints with solid oak linings. 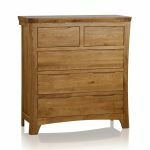 Quality design features include hand chamfered edges, softly rounded corners and understated sculpted handles. 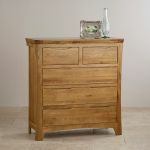 Wherever you're looking to add more storage space, this exquisite chest of drawers will not disappoint. 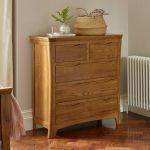 Why not take a look at the rest of the Orrick range to discover matching items for every room in the house?